HARRIS COUNTY  A bunch of money was spent to hold elections that determine the future of the area locally and only a stalwart few cast a ballot. It looks as if apathy is the overwhelming winner in the off candidate elections. Consider that there are 15,730 registered voters in Crosby and only 1,245 turned out to determine one of the most important bonds issues for making Crosby ISDs future and one that could save tax payers 2¢ per $100 valuation. Actually it is 30 something votes less than the last bond election. As it went, 7.95% of voters turned out to determine if the district will sell bonds to match $109,500,000 for schools, land, buses and levy of tax payment. So, 586 voted for the bond and 358 voted against it in the entire school district. At least 62% of the voters thought it was a good deal. 2017 also hosted a vote to determine if Crosby Municipal Utility District could levy a tax, only 111 votes were cast. Yes they can, say 61 voters and no was only 50 votes. That is 54.95% for and 45.05% against. This year the legislature worked tirelessly to produce seven propositions. Some in detail seemed silly, others are a half step towards doing the right thing. Voters took them seriously statewide. Proposition One exempted the partially disabled veteran or surviving spouse of one from property taxes for a residence homestead that was donated the property by a charitable organization or sold for less than market value. The proposition harmonized provisions in the Texas Constitution. It passed 110,111 to 15,776 or 87.47% to 12.53%. Proposition 2- was about making stabilizing home equity loans. It was very serious and about needed clarification of home equity loans. It passed 96,812 to 27,981. Proposition 3 limited the time an appointee could hold office after his term of office was concluded. It was worded like it was about term limits but had nothing whatever to do with it. It passed 96,812 to 27,981 or 77.58 % to 22.42%. Proposition 4 allows the legislature to set a waiting period before the court may enter a judgement holding a statue unconstitutional. This passed 82,221 to 40,390. Proposition 5 allows professional sports teams to have their charitable foundations to host raffles. It passed 81,195 to 39,785. Proposition 6 provides an exemption from property taxes to surviving spouses of first responders killed or fatally wounded in the line of duty. But if only crippled they need to pay in full. It passed 106,323 to 18,683. The least popular proposition was Proposition 7. 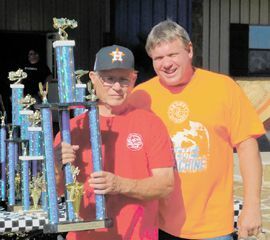 It allows financial institutions to award prizes by lot to promote savings. It passed 80,073 to 42,534 or 65.31% to 34.69%. More turn out to vote for representatives generally, to be held in two years. HOUSTON – East Houston RMC has decided to permanently close its facility on I-10 near Uvalde, due to repeated damage from flooding of Greens Bayou. HCA Healthcare Gulf Coast Division is announcing today that East Houston Regional Medical Center, a campus of Bayshore Medical Center, will not reopen due to its history of flooding as well as recent extensive damage from Hurricane Harvey. The hospital has been closed since all patients and staff were moved to safety two days before Harvey made landfall. Although it is equipped with flood gates designed to withstand three feet of water, East Houston Regional Medical Center took nearly six feet of water during the storm. The hospital is located in a low lying area, and prior to Harvey, was severely damaged by flood waters in 2001 by Tropical Storm Allison as well as by Hurricane Ike in 2008. We considered potential options to continue to treat patients at the facility; however, given this history and the likelihood of future flooding problems, we determined that the most prudent course is to close the facility. We have a long history of caring for the East Harris County community, and through nearby Bayshore Medical Center and Clear Lake Regional Medical Center, we will continue to do so. Physicians credentialed at East Houston Regional Medical Center have privileges to practice medicine at Bayshore Medical Center, and we will continue to assist those physicians interested in practicing medicine there and seeing their patients at the facility. 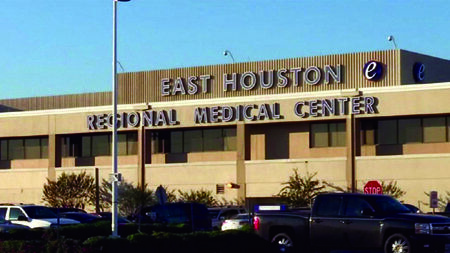 For over 40 years, HCA has been treating patients at East Houston Regional Medical Center. Though the facility has been damaged in the past, we have rebuilt many times. Weve endured three floods since 2000. Our team looked at every potential option for continuing to treat patients at the facility. In the interest of safety, we have determined there was no way to continue operations at this current site. Its just not the safest way forward for our patients or our employees. We remain committed to the East Harris County community, though. Patients may still seek care at our Bayshore Medical Center and Clear Lake Regional Medical Center facilities, both of which are close by. In addition, management and human resources teams are working closely with East Houston Regional Medical Center employees to identify career opportunities in one of the 16 facilities within the HCA Healthcare Gulf Coast Division and throughout HCA. HCA Healthcare Gulf Coast Division will work with a local realty firm to determine the future of the East Houston Regional Medical Center property. It was a difficult decision not to reopen East Houston Regional Medical Center, but one we are confident best serves our patient population. HCA Healthcare Gulf Coast Division remains firmly committed to the East Houston community and Bayshore Medical Centers essential role as a community hospital serving East Houston and surrounding communities.